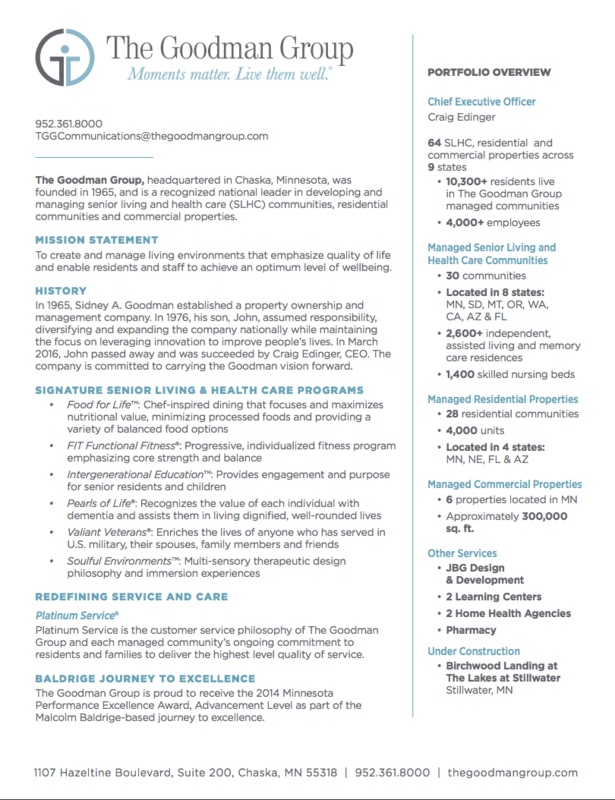 MINNEAPOLIS, Minn. (January 15, 2019) – The Goodman Group was selected as a winner in the 20th anniversary Digital Health Awards® program. This competition — held each spring and fall — recognizes the world’s best digital health resources. Senior Independence: How Communities Help Residents Thrive received a Gold Award for the blog category and can be found at http://blog.thegoodmangroup.com/senior-independence. Meet Sylvia: I Will Keep on Giving received a Bronze Award for the video category and can be found at http://blog.thegoodmangroup.com/keep-on-giving. Meet LeRoy: I Will Keep on Walkin’ received a Merit Award for the video category and can be found at http://blog.thegoodmangroup.com/i-will-keep-on-walkin. The Goodman Group marketing and communications team leads the work for blog articles and videos. 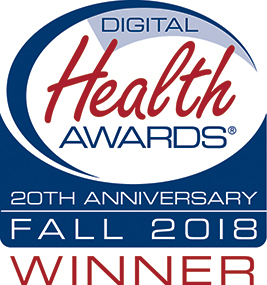 “We were delighted to participate in the 20th anniversary Digital Health Awards competition, and were honored to be selected as a winner,” said Craig Edinger, Chief Executive Officer. Entries in the Fall 2018 Digital Health Awards were evaluated by a panel of experts in digital health media who served as judges and selected gold, silver, bronze, and merit winners from 300 entries. Using a rating scale of 1 to 100, each judge evaluated entries for content, design, creativity, and ​user experience.